It's been nearly two weeks since the 2018 World Championships kicked off, and now that the dust has settled and the data is clear, let's jump into the top 10 matches everyone has been watching. The most-watched matches have a succinct way of delivering most the event's biggest storylines—Shane Jamil Hill-Taylor became the fifth American World Champion ever, Nicholas Meregali took on the black establishment, the decision of the Keenan Cornelius vs. Patrick Gaudio match, and Buchecha's triumph, to name just a few. However, to our surprise—and excitement—four colored belt matches have made the list! The conclusion of Roberto Jimenez's epic purple belt absolute campaign clocked in at third. 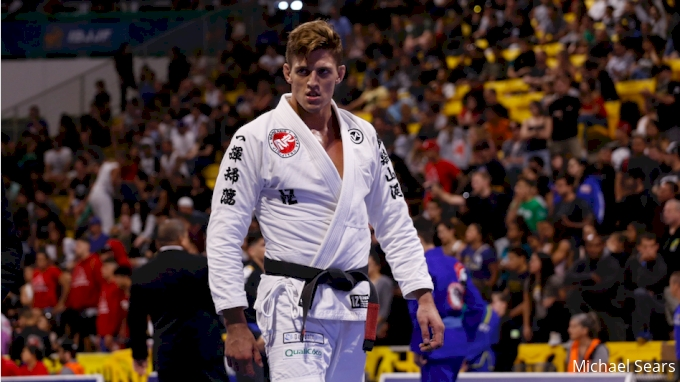 Samuel Hatchwell and Jonatha Alves' incredible match in the purple belt lightweight final is fifth. Ex-pro football player blue belt ultra-heavyweight MONSTER Jason Shirley's final is ranked at nine, and Kennedy Maciel's quarterfinal with Husyen Eldar rounds out the list at No. 10.